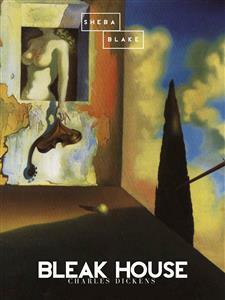 Bleak House is one of Charles Dickens's major novels.The novel has many characters and several sub-plots, and the story is told partly by the novel's heroine, Esther Summerson, and partly by an omniscient narrator. At the centre of Bleak House is the long-running legal case, Jarndyce and Jarndyce, which came about because someone wrote several conflicting wills. This legal case is used by Dickens to satirise the English judicial system, and he makes use of his earlier experiences as a law clerk, and as a litigant seeking to enforce copyright on his earlier books.Though the legal profession criticised Dickens's satire as exaggerated, this novel helped support a judicial reform movement, which culminated in the enactment of legal reform in the 1870s.There is some debate among scholars as to when Bleak House is set. The English legal historian Sir William Holdsworth sets the action in 1827; however, reference to preparation for the building of a railway in Chapter LV suggests the 1830s.Sir Leicester Dedlock and his wife Lady Honoria live on his estate at Chesney Wold. Unknown to Sir Leicester, Lady Dedlock had a lover, Captain Hawdon, before she married – and had a daughter by him. Lady Dedlock believes her daughter is dead.The daughter, Esther, is in fact alive, and being raised by Miss Barbary, Lady Dedlock's sister. Esther does not know Miss Barbary is her aunt. After Miss Barbary dies, John Jarndyce becomes Esther's guardian and assigns the Chancery lawyer "Conversation" Kenge to take charge of her future. After attending school for six years, Esther moves in with him at Bleak House. Copyright © 2017 by Charles Dickens. All rights reserved. Printed in the United States of America. No part of this book may be used or reproduced in any manner whatsoever without written permission except in the case of brief quotations em- bodied in critical articles or reviews. This book is a work of fiction. Names, characters, businesses, organiza- tions, places, events and incidents either are the product of the author’s imagination or are used fictitiously. Any resemblance to actual persons, living or dead, events, or locales is entirely coincidental. A Chancery judge once had the kindness to inform me, as one of a company of some hundred and fifty men and women not labouring under any suspicions of lunacy, that the Court of Chancery, though the shining subject of much popular prejudice (at which point I thought the judge's eye had a cast in my direction), was almost immaculate. There had been, he admitted, a trivial blemish or so in its rate of progress, but this was exaggerated and had been entirely owing to the "parsimony of the public," which guilty public, it appeared, had been until lately bent in the most determined manner on by no means enlarging the number of Chancery judges appointed--I believe by Richard the Second, but any other king will do as well. "My nature is subdued To what it works in, like the dyer's hand: Pity me, then, and wish I were renewed!" But as it is wholesome that the parsimonious public should know what has been doing, and still is doing, in this connexion, I mention here that everything set forth in these pages concerning the Court of Chancery is substantially true, and within the truth. The case of Gridley is in no essential altered from one of actual occurrence, made public by a disinterested person who was professionally acquainted with the whole of the monstrous wrong from beginning to end. At the present moment (August, 1853) there is a suit before the court which was commenced nearly twenty years ago, in which from thirty to forty counsel have been known to appear at one time, in which costs have been incurred to the amount of seventy thousand pounds, which is A FRIENDLY SUIT, and which is (I am assured) no nearer to its termination now than when it was begun. There is another well-known suit in Chancery, not yet decided, which was commenced before the close of the last century and in which more than double the amount of seventy thousand pounds has been swallowed up in costs. If I wanted other authorities for Jarndyce and Jarndyce, I could rain them on these pages, to the shame of--a parsimonious public. There is only one other point on which I offer a word of remark. The possibility of what is called spontaneous combustion has been denied since the death of Mr. Krook; and my good friend Mr. Lewes (quite mistaken, as he soon found, in supposing the thing to have been abandoned by all authorities) published some ingenious letters to me at the time when that event was chronicled, arguing that spontaneous combustion could not possibly be. I have no need to observe that I do not wilfully or negligently mislead my readers and that before I wrote that description I took pains to investigate the subject. There are about thirty cases on record, of which the most famous, that of the Countess Cornelia de Baudi Cesenate, was minutely investigated and described by Giuseppe Bianchini, a prebendary of Verona, otherwise distinguished in letters, who published an account of it at Verona in 1731, which he afterwards republished at Rome. The appearances, beyond all rational doubt, observed in that case are the appearances observed in Mr. Krook's case. The next most famous instance happened at Rheims six years earlier, and the historian in that case is Le Cat, one of the most renowned surgeons produced by France. The subject was a woman, whose husband was ignorantly convicted of having murdered her; but on solemn appeal to a higher court, he was acquitted because it was shown upon the evidence that she had died the death of which this name of spontaneous combustion is given. I do not think it necessary to add to these notable facts, and that general reference to the authorities which will be found at page 30, vol. ii.,* the recorded opinions and experiences of distinguished medical professors, French, English, and Scotch, in more modern days, contenting myself with observing that I shall not abandon the facts until there shall have been a considerable spontaneous combustion of the testimony on which human occurrences are usually received. In Bleak House I have purposely dwelt upon the romantic side of familiar things. * Another case, very clearly described by a dentist, occurred at the town of Columbus, in the United States of America, quite recently. The subject was a German who kept a liquor-shop and was an inveterate drunkard. London. Michaelmas term lately over, and the Lord Chancellor sitting in Lincoln's Inn Hall. Implacable November weather. As much mud in the streets as if the waters had but newly retired from the face of the earth, and it would not be wonderful to meet a Megalosaurus, forty feet long or so, waddling like an elephantine lizard up Holborn Hill. Smoke lowering down from chimney-pots, making a soft black drizzle, with flakes of soot in it as big as full-grown snowflakes--gone into mourning, one might imagine, for the death of the sun. Dogs, undistinguishable in mire. Horses, scarcely better; splashed to their very blinkers. Foot passengers, jostling one another's umbrellas in a general infection of ill temper, and losing their foot-hold at street-corners, where tens of thousands of other foot passengers have been slipping and sliding since the day broke (if this day ever broke), adding new deposits to the crust upon crust of mud, sticking at those points tenaciously to the pavement, and accumulating at compound interest. Fog everywhere. Fog up the river, where it flows among green aits and meadows; fog down the river, where it rolls deified among the tiers of shipping and the waterside pollutions of a great (and dirty) city. Fog on the Essex marshes, fog on the Kentish heights. Fog creeping into the cabooses of collier-brigs; fog lying out on the yards and hovering in the rigging of great ships; fog drooping on the gunwales of barges and small boats. Fog in the eyes and throats of ancient Greenwich pensioners, wheezing by the firesides of their wards; fog in the stem and bowl of the afternoon pipe of the wrathful skipper, down in his close cabin; fog cruelly pinching the toes and fingers of his shivering little 'prentice boy on deck. Chance people on the bridges peeping over the parapets into a nether sky of fog, with fog all round them, as if they were up in a balloon and hanging in the misty clouds. Gas looming through the fog in divers places in the streets, much as the sun may, from the spongey fields, be seen to loom by husbandman and ploughboy. Most of the shops lighted two hours before their time--as the gas seems to know, for it has a haggard and unwilling look.